The Long Mynd Soaring Club is a club of qualified pilots and does not train new recruits. For a complete list of nationally available schools, please see the BHPA site. 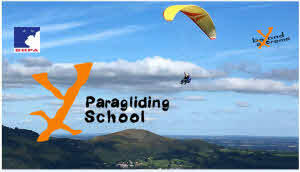 However, there are two schools which train locally – YX Paragliding, and Leavesley Aviation. We strongly recommend that you check the web sites of both schools for information about prices, services, etc., before making a decision on which one to use. 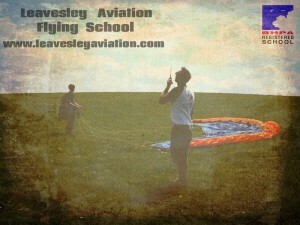 Leavesley Aviation is run by Mark Leavesley. 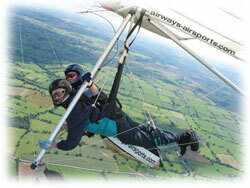 As well as paraglider training, Mark also offers tandem paragliding flights. YX Paragliding (formerly Beyond Extreme) is owned and run by Mick Bird-Jones,and offers paragliding training at all levels and tandem paragliding flights. Airways Airsports are based in the Peak District and offer a wide range of hang-gliding and paragliding courses, on both winch and aerotow. IMPORTANT: THE LONG MYND SOARING CLUB IS NOT AFFILIATED WITH ANY OF THE SCHOOLS LISTED, DOES NOT PROFIT FROM THEIR ACTIVITIES, OR OVERSEE THEM, AND IS NOT ENDORSING, OR OTHERWISE RECOMMENDING, THEIR OPERATIONS. PROSPECTIVE STUDENTS SHOULD ALWAYS ENSURE THAT THE SCHOOL HAS ADEQUATE INSURANCE IN PLACE, AND USES QUALIFIED INSTRUCTORS. TANDEM PILOTS TAKING PASSENGERS SHOULD HAVE A TANDEM RATING AND INSURANCE. ONLY TANDEM PILOTS WORKING WITHIN A SCHOOL ARE ABLE TO CHARGE FOR TANDEM FLIGHTS.